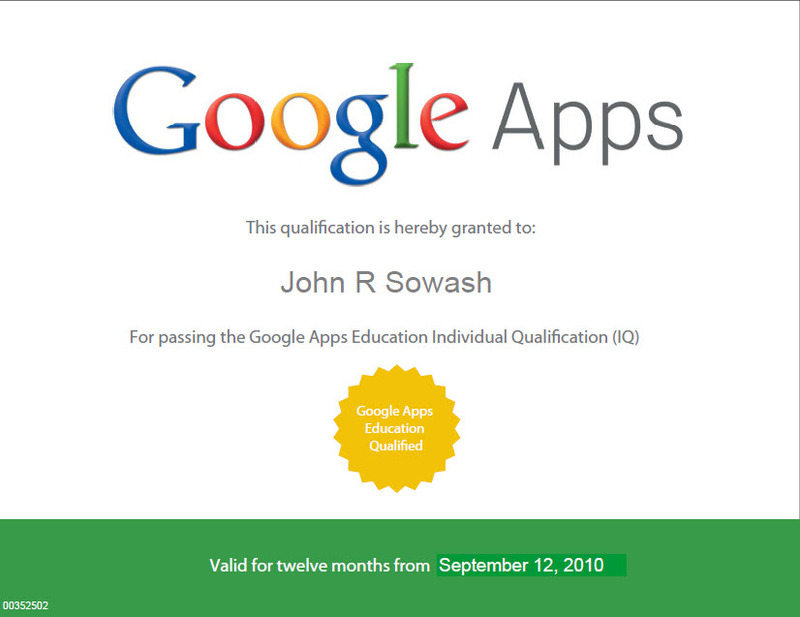 John Sowash is a Google Apps Certified Trainer and Google Certified Teacher who provides training and support for business, schools, and universities. John strongly believes that the Google Apps suite represents the single most innovative, secure, and affordable cloud based productivity tool on the market. As a classroom teacher John has seen the benefits that the Google Apps suite brings to students. As a school administrator he has seen how implementing Google Apps can increase communication and collaboration between staff and faculty members. John can provide hands-on personalized for your school or business. Through partnerships with Google Apps authorized re-sellers, Sowash Ventures can also offer more technical services such as data migration, single-sign-on implementation and custom scripting. Please email for more information. 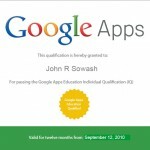 John is one of the top ranked Google Trainers in the country.